They have accumulated again, like old traffic tickets stuffed into the glove compartment. Despite the best intentions and resolutions of each new year, a large number of corrections and clarifications that should have been published throughout 2016 did not appear because of the diligent effort of the author. The 13th Annual Corrections Column is not something we're proud of, but it is time to come clean, ask forgiveness and make a new start. Once more, the promise is that this won't have to happen again. 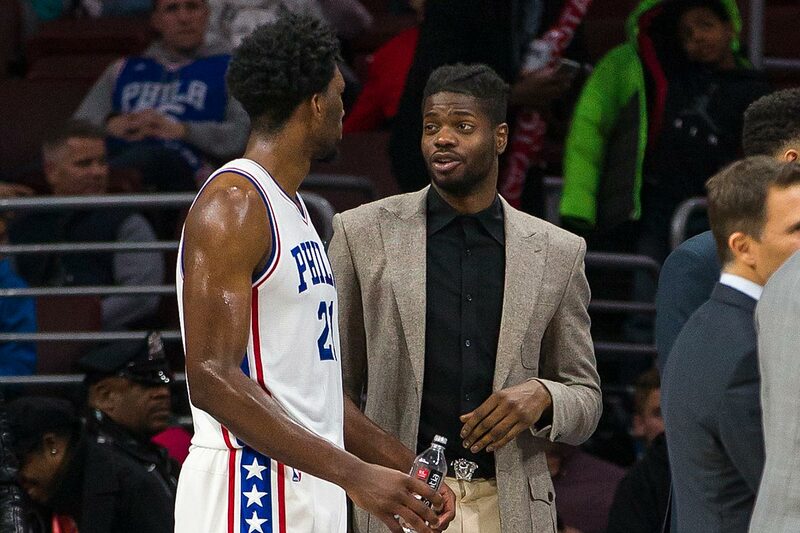 Nerlens Noel (right) chats with Joel Embiid in front of the Sixers bench. In a March 1 column on the 76ers, Bob Ford wrote: The confusion is understandable since the trio of big men Hinkie collected for the future comprise a lion-tin man-scarecrow assemblage heading uncertainly toward the Emerald City, each lacking one vital gift. Nerlens Noel needs a better offensive game. Jahlil Okafor needs a better defensive game. Joel Embiid needs to get into a game. The Inquirer regrets the Sixers did not trade for a wizard of a point guard. Jeremy Hellickson pitches for the Phillies. In a July 21 column on the Phillies, Bob Ford wrote: The leading candidate to disappear before the next homestand is veteran starter Jeremy Hellickson, who would be a reliable addition to the rotation of any contender. The Marlins are one of the teams rumored to be interested. I learned this from a report by Steve Adams of mlbtraderumors.com, quoting a tweet by MLB.com's Joe Frisaro. Don't know about you, but that's good enough for me. The Inquirer regrets that Mr. Ford has not developed a better appreciation for modern reporting. First-year Eagles head coach Doug Pederson. In a Sept. 25 column on the Eagles, Bob Ford wrote: All right, fine. What if? This voice of reason stuff can wear you out. Always bringing an umbrella if there is a distant cloud in the sky. Sticking your hand in the post office mail slot to make sure the envelope fell through. Stepping carefully over the crack in the sidewalk. Just for today and perhaps not again for a very long time, let's not worry about the rain, let's figure the letter will get there just the same, and let's stomp on the crack and hope mother's back can take care of itself. All right, fine. What if the Eagles are really good? The Inquirer regrets the NFL season is not three games long. 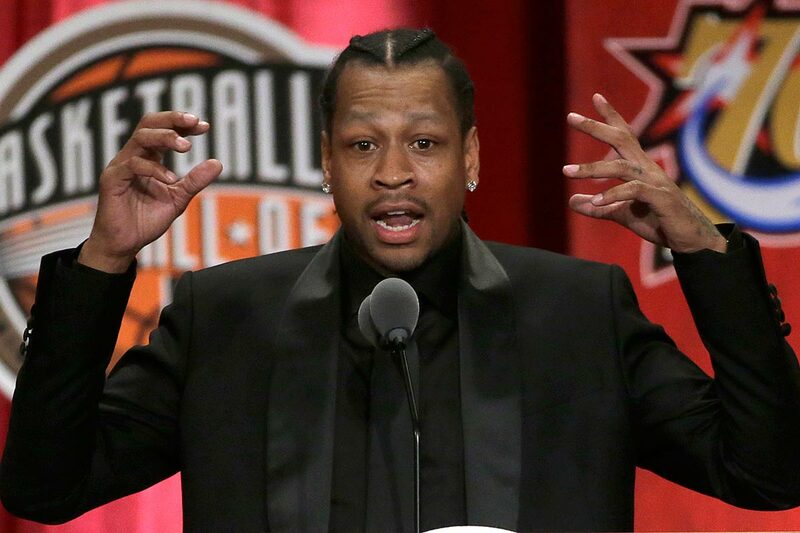 In an April 5 column on Allen Iverson's induction to the Hall of Fame, Bob Ford wrote: Not every day was good, but it was always interesting. It was always raw and unscripted. There were always trees that lined the road to the basket and the road through life, and he didn't miss all of them. He came out with dented fenders and broken mirrors, but that was fine, because looking back wasn't his specialty. He wasn't much on looking ahead, either. Allen Iverson was a blur in the moment. Now the moments have slowed, and on Monday they were added up and presented back to him. The Inquirer regrets Mr. Ford's continuing affection for roads, turns, twists, paths, detours, intersections and heaven knows what else on the highway of life. 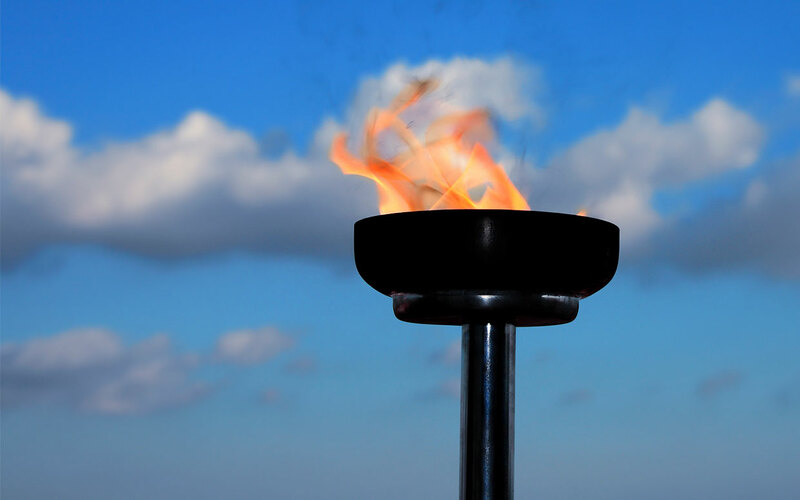 In an Aug. 21 column on the Olympics, Bob Ford wrote: It's always an odd Olympics when one of the torchbearers carrying the flame drops his pants to reveal a jaguar-print thong on which a political slogan had been painted. There were assorted embarrassments for the locals, some regarding the fetid open waters and the occasional mugging on iconic Copacabana Beach, which always looked so safe with Bob Costas sitting in front of it. The Inquirer regrets that Mr. Ford cannot distinguish a jaguar from a leopard. In an April 18 column on the 76ers, Bob Ford wrote: Somehow, while bringing us the thoughts of Elon Musk, Jeff Bezos, and Charlie Munger, Hinkie missed Nathan Hale, another revolutionary who dared operate behind enemy lines and was also hanged for his trouble. That is how Hinkie positions himself, as a revolutionary whose acts have brought the Sixers to the very verge of freedom but who won't be around to share the rewards because the empire finally caught up to him. 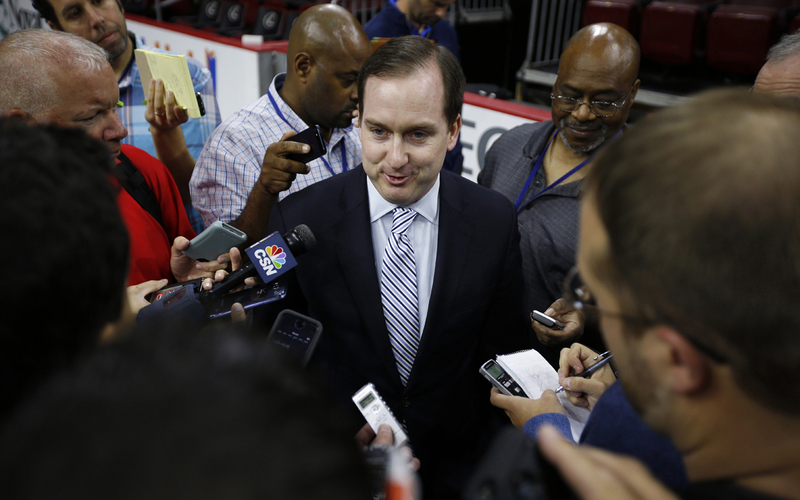 The Inquirer regrets not seeing what Mr. Hinkie would have done next. Eagles general manager Howie Roseman walks on the field before a game. In a Jan. 24 column on the Eagles, Bob Ford wrote: In the last year, Eagles owner Jeffrey Lurie has presided over an organizational chart of chutes and ladders where power rose and fell and rose again so precipitously that even the beefy employees on the first floor felt the vibrations from above. Like a man walking an Escher staircase, general manager Howie Roseman exerted his muscle, had it taken away, went into exile, and then climbed back to the top of the steps so rapidly he must have been taking them two at a time. The Inquirer regrets becoming dizzy from all the chutes, ladders and staircases. 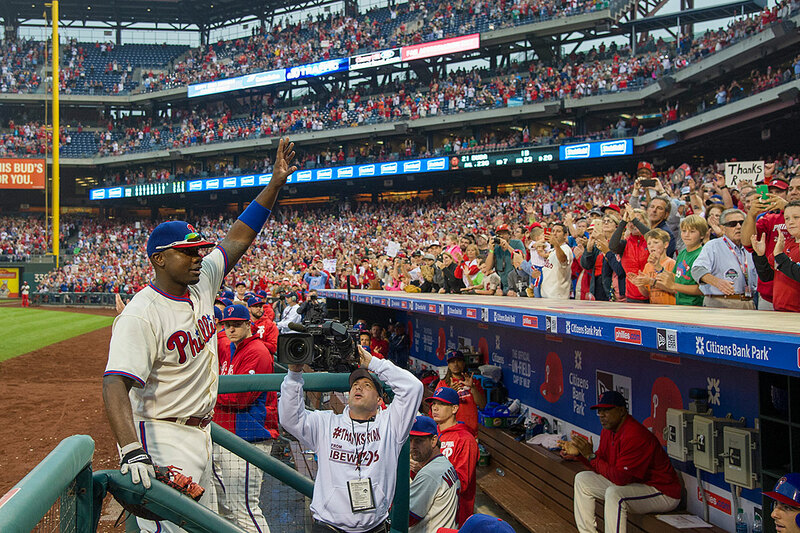 Ryan Howard acknowledges a standing ovation upon leaving his final game as a Phillie. In an Oct. 2 column on the Phillies, Bob Ford wrote: The last receding wave of the longest ebbing tide will slip into the cold depths of history on Sunday when Ryan Howard walks off the field at Citizens Bank Park for the final time as a member of the Philadelphia Phillies. The Inquirer regrets having to say, "Glub, glub, glub." In an Oct. 23 column on the 76ers, Bob Ford wrote: Having Embiid, Okafor, and Noel on a nightly basis is like playing Scrabble with a rack full of X's, Z's and Q's. They are all valuable pieces but don't necessarily go together very well, particularly in a league in which the best teams have great vowels. The Inquirer got a Triple Word score last week. Ryan Arcidiacono celebrates the NCAA championship with teammates. In an April 6 column on the NCAA championship game, Bob Ford wrote: No one stands in the driveway and dreams of making the last pass in the big game. Clock ticking down in your head, guy in your face, crowd quiet, nothing on Earth but the ball in your hands and the basket hanging in the distance, round and orange in the lights like a moon on the horizon. Three-two-one, jump, swish, roar, teammates, confetti, champion. You did that. You raise your arms and leap as the ball bounces slowly away on the asphalt and into the hedge. The Inquirer regrets absolutely nothing about Mr. Arcidiacono's decision. In a July 10 column on the Philadelphia Union, Bob Ford wrote: Building as the Union have chosen to build is not going to inflame the ticket-buying public, or at least the casual fans, in the same way that other franchises have chosen to do by extending large salaries to big names. Ricardo Kaka, or merely Kaka, a Brazilian midfielder, earns $7.16 million from Orlando City, more than the entire Union salary budget. The Inquirer suggests Mr. Ford move to Brazil and change his byline to Bobo. Phillies spring training was held for the 70th straight season in Clearwater, Fla. In a Feb. 14 column on the Phillies, Bob Ford wrote: The Phillies open spring training this week in Clearwater, Fla., for the 70th consecutive season. As long as the weather is warm and the Danish are still free in Lenny's, thousands of local fans will observe the annual rite with a journey south. Maybe the attraction is to sit beneath the high Florida sky and savor the beauty of a perfect hop, or maybe to sit beneath the thatched roof of Frenchy's Tiki Pavilion and savor an entire pint of hops. Maybe both. The Inquirer regrets the Phillies again chose to follow spring training with the regular season. In a July 24 column on the Eagles, Mr. Ford wrote: There was a post the other day on Twitter - the most reliable source for news, information, and GIFs of swimming cats - that said a meteor would strike the earth this week and, assuming the two party conventions had not already done so, wipe out all intelligent life on the planet. We can debate exactly how large a meteor would be required to end intelligent life - I'd say one no more than the size of a grapefruit might get the job done - but that would put a crimp in summer cookouts and probably play havoc with Shore traffic. The Inquirer regrets several things, not least of which is the use of two Em dashes in such close proximity, but it does have a soft spot for swimming cats. 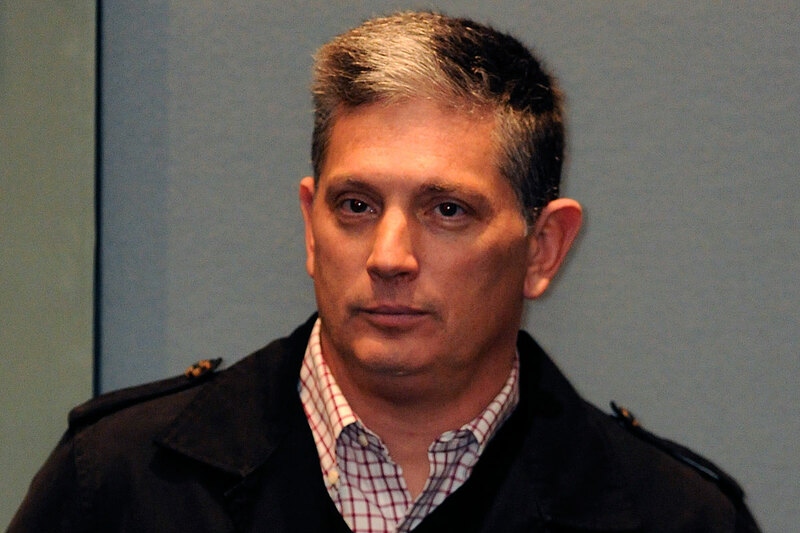 First-year Eagles defensive coordinator Jim Schwartz. In an Oct. 18 column on the Eagles, Bob Ford wrote: When last we saw the wide-nine alignment along the Eagles' defensive front, line coach Jim Washburn was being escorted out of town late in the season by Andy Reid, accompanied by a large civic following bearing torches and pitchforks. The Inquirer regrets Mr. Jim Schwartz didn't take note of this bit of franchise history. In a July 5 column on Kevin Durant of the NBA, Bob Ford wrote: It's Durant's life and his career, and if he wants to go someplace with decent sushi and a ready-made team, that's his business. He got a first-hand lesson in NBA loyalty when his entire franchise up and moved after his rookie year. When the city balked at improving the basketball arena, the cash-strapped CEO of Starbucks sold the team to a group of Oklahoma City investors, and it was see you latte, Seattle. The Inquirer regrets Mr. Durant did not stay with the Thunder and isn't very happy with the "latte" pun, either. Carson Wentz manages to release a pass while pressured by the Giants' Olivier Vernon. In a Dec. 13 column on the Eagles, Bob Ford wrote: So that's the wall that will protect the future of the franchise, the player upon whom the whole enterprise has been based from the moment Carson Wentz was taken with the second pick in the draft. It wouldn't be a popular decision, and there are plenty of arguments against it, but there is no way Wentz should play Sunday against the Ravens. That's how bad this could be. The Inquirer regrets that Mr. Ford does not understand the game of tackle football. Well, once again, I feel better. The slate has been wiped clean for the new year, and there will be no repeat of the same mistakes, the same hiding of corrections. As always, trust is our bond.